I read this book with a bunch of skeptism. 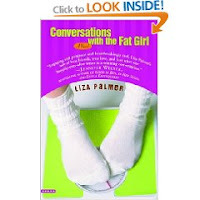 I am not a timy girl and hate book that make me feel fat as I read them. The beginning of the book was ok bordering on good. The Middle was good. I did not like the end. It ended up being a pity me party all in all. I wont read any more about this.